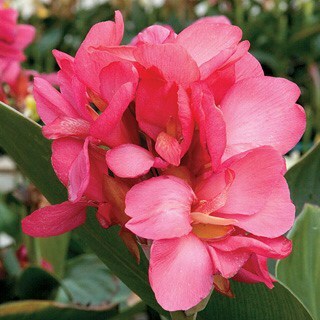 The first canna to be grown from seed that has typical canna flowers about 3-4 inches across. The soft rose blooms are produced on a spike held above the wide lush foliage. As the first flower spike matures, another flower spike will be initiated and fresh new blooms will be opening soon. To hasten the secondary spikes, remove the first spike. Tropical Rose continues to produce flower spikes all summer for reliable color in a garden. Dwarf cannas are grown from large seed. For good germination results, pre-soften the seed by placing seed between wet paper towels for 2-3 days. 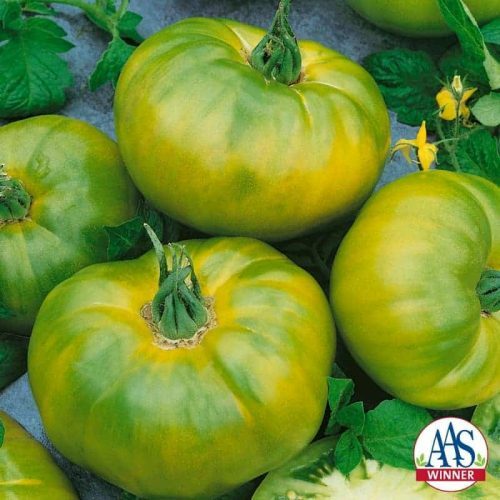 Sow the large seeds in a sterile medium and cover with one-half inch of soil. Transplant seedlings when they have one to two leaves; grow on in a 4-inch pot. Since the root branchings on the canna are limited, it’s important to avoid damaging plants when transplanting. Grow cannas at temperatures over 65F. They tolerate up to 90F. 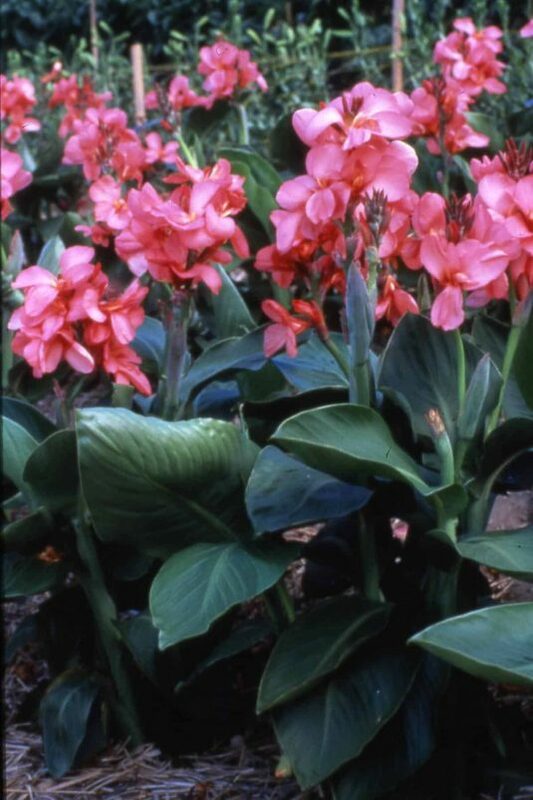 If grown under temperatures lower than 60F, canna plants grow slowly and will be somewhat smaller. The optimum temperature for potted cannas is 70F to 80F. 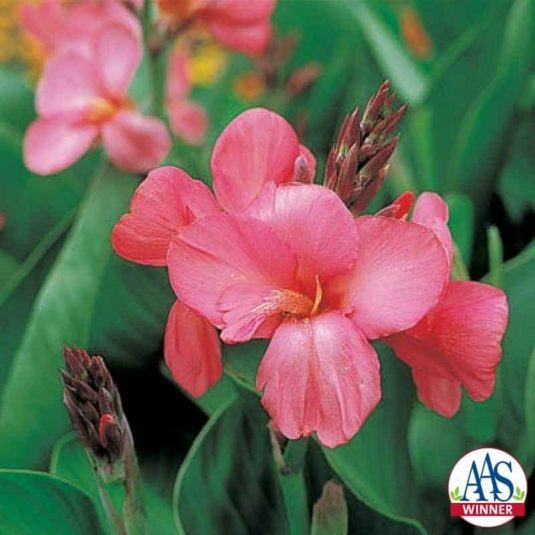 Cannas require warm temperatures, high nutrient levels and adequate moisture for rapid growth. Cannas like continuous, steady feedings. 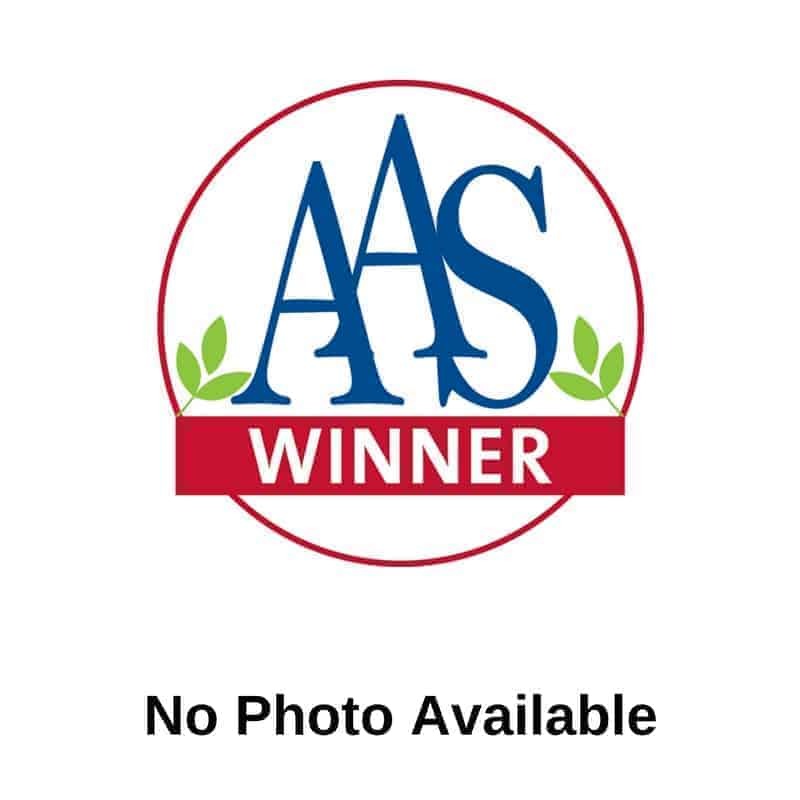 A 20-20-20 formulation supports a healthy plant. Start fertilizing at the time of transplanting. Apply a slow-release fertilizer to enhance the green leaf color and produce a healthy-looking plant. 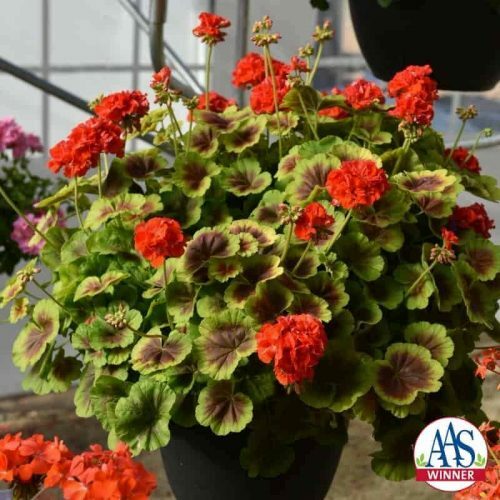 Home gardeners can maintain the lush green foliage and a shorter height by spacing plants 1.5 feet apart in the full sun garden or container. Since cannas are tender, home gardeners should dig up rhizomes before the first frost and store them indoors for the winter.